Woven in the Scottish Borders these blankets are made from 100% lambswool. Lightweight, soft and warm, ideal as a throw for your home to lay over a bed or a sofa. 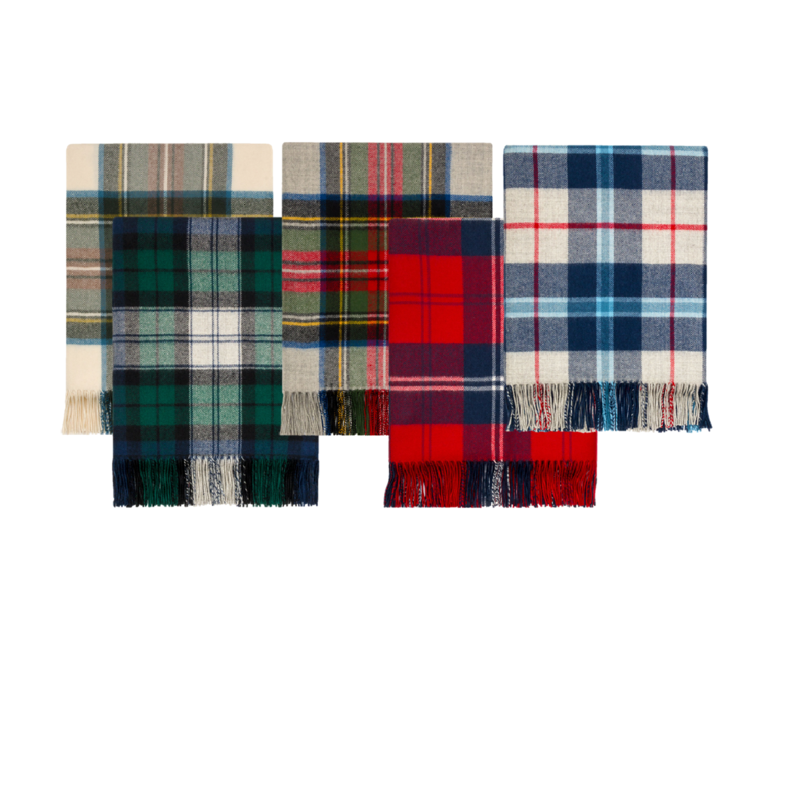 Choose from a selection of tartans and inject a little Scottish personality into your interior style. Blanket Dimension 185cm x 140cm (72" x 56") including fringing.